Back in 1986, when the Conservative government privatised the gas industry, it had only been nationalised for 40 years, since just after the end of World War II. With privatisation, shares were issued, about £9 billion worth, and many people invested in the stock market for the first time in their lives. It seemed like a brave new age. It certainly seemed that way for the newly formed British Gas, too, since they’d been promised a lucrative monopoly for the next 25 years. That didn’t happen, however. 14 years later, in 2000, the market was opened up to competition, and consumers took advantage of it, many millions of them switching suppliers. Overall it seemed as if privatisation was a good thing, as domestic gas bills declined by 32%, much of that spurred by competition since 2000. But now prices have risen and risen dramatically. What went wrong? Before privatisation, the British Gas Board and its regional boards controlled the supply and the price of gas. That meant stability for consumers, and with the discovery of North Sea oil and gas in the 1950s there was a huge uptake in the use of gas in houses, since it seemed the supply would be endless and the price cheap. As central heating became more widespread in Britain, the demand for gas soared, and many power stations also became gas-fired. We became very much a gas nation; gas seemed like the future. The Tories had an agenda for privatisation, and the gas industry was second on their list after the birth of British Telecom. So British Gas plc came into being in 1986 as a privatised monopoly funded by the £9 billion in shares sold, and regulated by the newly-created Ofgas. During the 1990s, British Gas was split into British Gas and Centrica, with the latter responsible for supplies and services. But it still looked as if British Gas would keep its promised monopoly until 2011. But with the arrival of 2000 and the opening of broader competition, the industry achieved full privatisation. Privatisation definitely helped at first, with the aid of North Sea gas. However, as supplies of that have dwindled, gas has to come from other sources, which means Europe, specifically Eastern Europe, through what are called interconnectors. The prices are agreed well in advance, so if suppliers buy at a high price, they need to pass it on to their customers, both industrial and domestic, which they tend to do quickly. That can squeeze costs for industrial users, and also means domestic customers end up paying a lot more, as energy companies cannot absorb all the increases themselves and remain profitable – and since they’re not state companies, profitability is the name of the game. According to regulator Ofgem, only 51% of the amount domestic customers pay in their bills is made up of the wholesale cost of gas. To be fair, in 2004 British industrial and domestic customers were still paying less for gas than other European countries. For the last few years, prices have continued to rise. There have been some reductions, but they’ve ended up being far outstripped by the increases, to the point where gas bills are now well over double what they were in 2004. It’s a state of affairs that has led some to call for the re-nationalisation of the gas industry. That, however, is realistically never going to happen, as there are massive profits to be made – which means plenty of taxes to be paid to the government – and the government simply wouldn’t be able to afford to re-nationalise and maintain and develop the infrastructure. Where things go depends a lot on the supply of gas in the future. Do you think privatisation of the gas industry remains a good option? 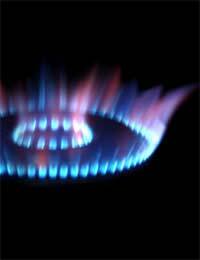 Should Ofgem take action against suppliers to help domestic customers? Do you feel there are options to secure our energy future to become less dependent on gas? i dont think that the gas industry is fair to the people in this country. They are making massive profits on the back of something that grew up, funded on our taxes. The goverment coffers may have been filled by the sell off but look what good it;s done us? We're in massive debt and paying far more for our fuel than say the USA. Dunno what the solution is though.